My practice is concentrated in real estate, bankruptcy, contract and commercial law. Additionally, I write appellate briefs in the state and federal courts. I have extensive experience in drafting and reviewing leases, purchase and sales contracts, and entity organizational documents, providing cost effective legal services for my clients. I feel that my clients benefit from my attention to detail, which includes dissection of even the most complex documents before addresssing each and every part. 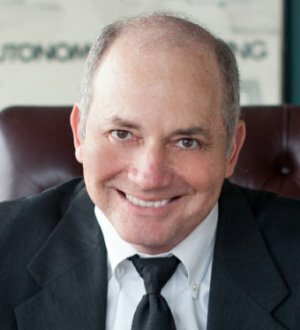 I am a member of the Knoxville and Tennessee Bar Associations and was named to Best Lawyers in the areas of Business Organizations including LLCs and Partnerships as well as Corporate Law. I have an undergraduate degree in architecture and J.D. both from the University of Tennessee. I joined Frantz, McConnell & Seymour, LLP in 1980 and have served as a previous managing partner. In addition to my law practice, I stay active in the community by volunteering my time with various non-profit and community support organizations. I am a past President of the Downtown YMCA Board of Directors and continue to serve as general counsel for the YMCA of East Tennessee. I am a past president and current board member of the City-Wide Service Club and a former director and past president of the Fort Loudoun Lake Association. I have also served as counsel to the Junior League of Knoxville and provided legal service for the International Biscuit Festival.